Writing Team Lesson Set: Elijah Super Set! The Rotation.org Writing Team has created six terrific lessons -each of which covers the three most important stories from Elijah's prophetic ministry: (1) Elijah and the Widow, (2) Elijah, Prophets of Baal, and the Still Small Voice, and (3) Elijah, the Chariot of Fire, and the Passing of the Mantle to Elisha. Be sure to read the Bible Background for why these stories matter. As always, the Background and Lesson Summaries are open to the public, but access to the WT's lesson plans are a major benefit to our Supporting Members. Join today. (WT) What is an Elijah "Super Set" ? Written by the Writing Team for our Supporting Members, The Elijah Super Set of lessons teach all the major Elijah & Elisha stories in one super series. Access all the Writing Team's extra creative lesson sets. Access the Bible Video Guides forum. Get additional site features, such as the ability to search and bookmark. A "crowd-sourcing" approach to collecting great ideas from each other -and then archiving them online so that they are there when you need them. A resource that gives you MANY CHOICES --not just one for your lesson plan. A ministry that's actually developing and sharing innovative teaching techniques and activities -instead of the same old stuff. An online Sunday School resource not driven by ads and fake reviews. A community that's tangibly reaching across denominational boundaries and blue oceans to support Sunday Schools of all sizes and types. 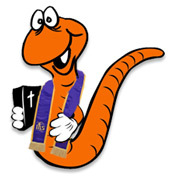 We are a volunteer-run, 100% member funded, ad-free, non-profit ministry to Sunday School depending on each other to keep our site working and improving. 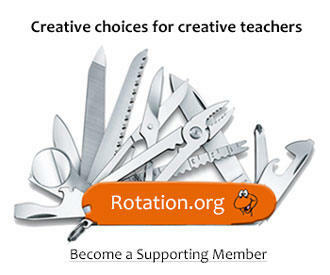 Learn more about Rotation.org. Become a supporter now. What makes Rotation.org different from other "free" lesson websites? No advertising. No ads. No clickbait. No product placements masquerading as articles. Emphasis on creativity, not "quickie crafts." Emphasis on many lesson choices, rather than a single lesson. Emphasis on lessons that work for older kids, not just younger. Reviews of new teaching resources, tech & media. Desire to explore new teaching techniques. We are a support community available to answer your questions and help you find resources. We are inspired by the Rotation Model for Sunday School, and open to all. And we have a professionally-led, peer-reviewed "Writing Team" that generates extra creative lesson sets for our Supporting Members.